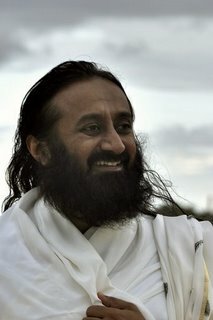 How is spirituality going to combat materialism, separatist tendencies, corruption and criminality in the coming generations? Do you know the reason for criminality to exist? It is because of stress. And what is the reason for stress? It exists because people want to achieve a lot with very little energy and even lesser time. This creates stress and misunderstanding. They have never been taught how to meditate, how to be peaceful and how to find joy within themselves. It is in the search of joy that people engage in criminal practices. It is in the search of happiness that people are becoming corrupt. That is why education and growing up in good culture is absolutely essential. See, you are brought up in a certain culture. At home people have taught you decency and good behavior. Just imagine another house where children have never been taught all that. Parents were always fighting with each other. They were throwing cups and knives at each other. What kind of samskaras (habits or tendencies) would this inculcate in children? They will get the same samskaraas. They will go out and throw plates and stones at each other. If you are brought up in an environment where you are taught, “Violence is shameful”, then you will not indulge in violence. But if you are taught, ”Take pride in violence. More violence makes you a macho man”, then you will indulge in it. One is hearing so much about the ill-effects of radiation from cell towers. In our home, when we measured the radiation levels from cell towers, it was not in the danger zone, whereas the Wi-Fi was emitting radiations which were very much in the danger zone. Could you comment on this and how do you see things going forward? Wi-Fi should be limited to office hours. Later on you should switch it off. Even at home you should switch off the Wi-Fi after use. Similarly, there should be zones where there is no Wi-Fi. In moderation it is okay. Our nervous system gets used to it after sometime. The adaptability is inbuilt in our nervous system and this can function only when there is no stress. If you are stressed, your adaptability decreases. And when adaptability decreases, you are prone to the effects of radiation and diseases much more than others. So increase your adaptability by being free from stress. Keep yourself happy and definitely do pranayama, yoga, meditation and eat healthy food. This would help to a great extent. 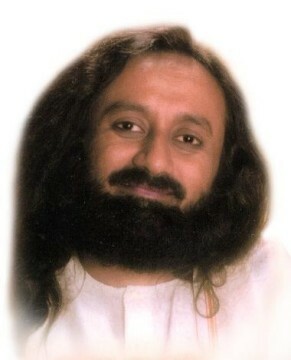 Gurudev, I am from Argentina. The medical treatments are changing now. I need to know what you think about this. According to you, what do the medical doctors need to know? Medical doctors need to have a new paradigm. They cannot be fanatic about what they studied 20 years ago. They should know that the field of medicine is changing very fast. What was thought to be the ultimate cure, today has been discarded. What was thought to be the right way, today has become the wrong way. Firstly, medical science is developing, growing and changing. If doctors understand this, they will not be fanatical about what is stuck in their mind through what they studied several years ago. Secondly, a holistic approach needs to be adopted. Usually in Allopathy, they only prescribe medication, they do not prescribe diet or lifestyle changes. Holistic approach is needed as present in Ayurveda. Even when it comes to Ayurveda, you cannot be a fanatic about it. Some people say, “I want to have only Ayurveda”. You need to have a broad outlook. Education regarding preventive medicines should be given priority in order to stop diseases even before it comes. Just make of list of all the things which do not fit your purpose. Life’s purpose is not just eating and watching television. It is not fighting with other people. It is not depositing money in your bank till you die. We work our whole lives to earn money. We deposit it in bank and even before making a will, we die. Later on, children who lived happily together, start to fight over this money. This is what happens in this world. What are the things which are not the purpose of your life? Just make a list. Then you will understand what the real purpose is. 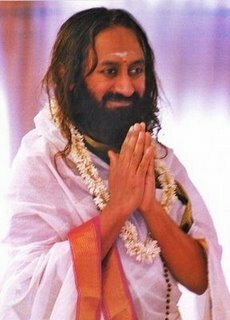 Gurudev, if somebody in the team is not able to perform for some personal reason, then how do we motivate them to work for the team in spite of their problems? There is no way. When they have a personal problem, then they are stuck with it and you cannot make them perform better. You can only give them confidence and say, “Okay, you will get over your personal problem, at least focus on your profession”. You can tell this to them, but you have to see how far it works. As a fresher joining the corporate world, what should I give importance to? Salary or other things? Improve your communication skills. This is very much needed for anyone in business. A businessman cannot afford to be impulsive, short tempered, incommunicable, unfriendly and lacking in confidence. In the presence of these things one will not be able to do business properly.